So today i had to edit this picture, look below. 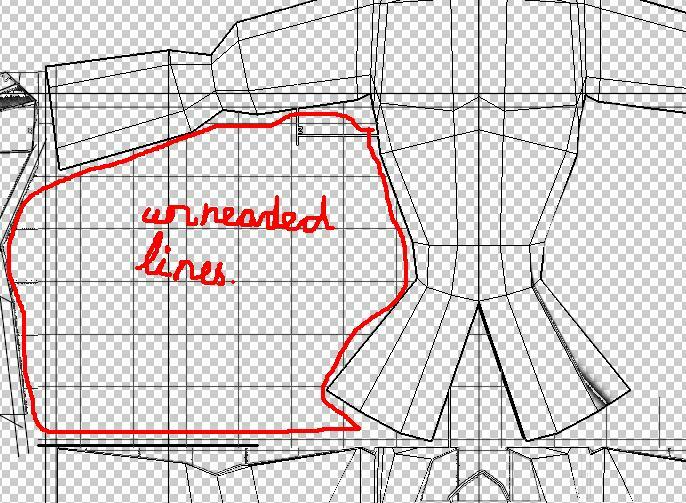 As u can see its kind of a blue prind, well to tell u the true its a model i have to texture, but i whannted to heand draw texture o i decided to print outlines or wireframes of 3d model to have them as guidelines. Now lets look at the area marked in read. this is some sort of grid, which is actualy remains og a grid plane in 3d max, it was on, when i did a viewport grabing… well its kind of anoying so i decided to get rid of it. and clean the picture in general, so i would have only the lines i nead. No how would one go about cleaning such lines in photoshop? selection by color will not work, all lines are black. laso tool? long work…. lasso tool whith magnet, or whatever its called, the one which reacts to contrast and finds “outline”. this one is kind of best. but still hard to use in this case. so i remembered how in max we can select loops and rings of edges, i thought coudnt we impliment this in photoshop? ofcourse it would serve only in very limited cases, but still. I think it shuld be done using basis of this magnet poligon laso. it would detect edges or contrast basicaly between pixels, and it could just folow a row of pixels. it shuld determine the direction of pixel row, and then if dyrection change, pixels are not selected… might be dyrections could be somehow determined by user.. whith some simple mouse movements.. dono.. but what i whanted to say it took me like 10-15 minutes to get rid of unneaded lines… could have been done faster..
you can also wisit my portfolio. 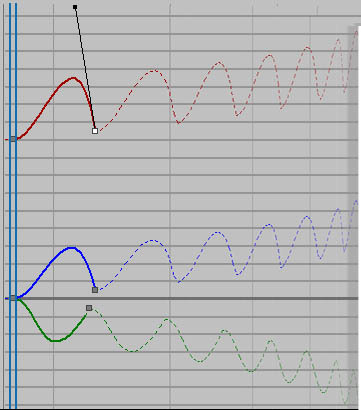 ok. a small detail, which i think could be possibly improved in max regarding usibility of curve editor. and we achieve it by defining curve out of range types. so it can loop, increase or do meny things whith the information it has from two keyframes u set. also using simple keyframe scaling we will not achieve gradual nice increase or decrease of spead, welll we could but that wut involve lots of counting, and copy psate scaling keyframe, in other words hours of work. 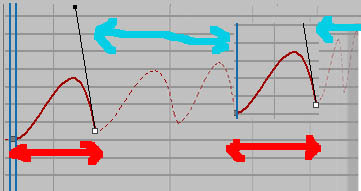 also why not to have ability to use thuse “out of range” parameters in betwean animation. lets say i animate somthing from 1 to 10 keyframes, then i whant to use this auto out of range function at at frame 100-500 i whant to manualy keyframe again???? i doubt its a dificult to impliment or?